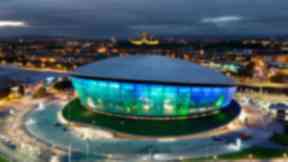 The music superstar will perform at the SSE Hydro twice in November 2019. Sir Rod Stewart has added a second Glasgow date onto his 2019 tour due to "phenomenal demand". Tickets for the Scottish superstar's gig at the SSE Hydro on Thursday, November 28 went on sale on Friday morning. Due to high demand, the singer will also perform on Saturday, November 30 as part of his 2019 tour in support of the release of his 30th studio album, Blood Red Roses. Rod Stewart Live in Concert has already announced 12 summer dates with headline shows at football stadiums, outdoor venues and arenas across England and Scotland from May through to July. Last week he announced four winter arena dates. The second Glasgow performance will be the third Scottish date on the tour with Aberdeen's AECC welcoming him for an outdoor show in June. The fully seated tour is being promoted by Cuffe and Taylor, whose director Peter Taylor said: "We expected the demand for tickets to see Rod in Glasgow would be high, so it makes absolute sense to add a second date in the city. "Rod is always so warmly welcomed in Scotland and, as his fans know, he presents the most amazing shows, so this is going to be a fantastic tour."